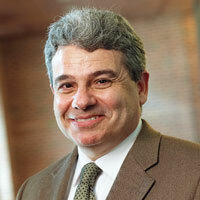 José Alvarez is the Herbert and Rose Rubin Professor of International Law at New York University School of Law. Before coming to NYU, he was the Hamilton Fish Professor of International Law and Diplomacy and the executive director of the Center on Global Legal Problems at Columbia Law School, a professor of law at the University of Michigan Law School, an associate professor at the George Washington University’s National Law Center, and an adjunct professor at Georgetown Law Center. At NYU he teaches courses on international law, foreign investment, and international organizations. He served as president of the American Society of International Law (ASIL) from 2006-2008 and is co-editor-in-chief, along with his NYU colleague, Benedict Kingsbury, of the American Journal of International Law. His lectures on “The Public International Law Regime Governing International Investment” at the Hague Academy of International Law were published as a pocketbook in 2011. His other books are a collection of essays, co-edited with others, entitled The Evolving International Investment Regime (OUP 2011) and International Organizations as Law-Makers (OUP 2005). He has published over 100 articles and book chapters. For a full listing of prior publications and video-taped lectures, see his curriculum vitae. Before entering academia on a full time basis in 1989, Alvarez was an attorney adviser with the Office of the Legal Adviser of the US Department of State where he worked on cases before the Iran-US Claims Tribunal, served on the negotiation teams for bilateral investment treaties and the Canada-US Free Trade Agreement, and was the legal adviser to the administration of justice program in Latin America coordinated by the Agency of International Development. Educated at Harvard College, Harvard Law School, and Oxford University, Alvarez has also been in private practice and was a judicial clerk to the late Hon. Thomas Gibbs Gee of the Fifth Circuit Court of Appeals. He has taught in NYU’s Singapore program at the National University of Singapore (NUS) and serves on the Advisory Panel of Centre for International Law located at NUS. He has also taught undergraduate students at NYU Abu Dhabi. He has delivered a number of endowed lectures at universities in the United States and abroad and delivered the General Course on international law at the Xiamen Academy of International Law in 2013 in Xiamen, China. Alvarez’s activities outside of academe include memberships in the Council on Foreign Relations, the US Department of State’s Advisory Committee on Public International Law, and service on the board of the Center for Reproductive Rights, as special adviser on public international law to the International Criminal Court’s first prosecutor, Luis Moreno Ocampo, and as an expert witness in a number of investor-state arbitrations.